At the turn of the year our award winning adventure at Queen Elizabeth Forest had a tree-lift. Not only have we put in all new obstacles and crossings, we’ve rethought the entire layout of the course, meaning you get to see parts of the forest you wouldn’t have seen last time. With the new design comes a unique aspect for those adventurous monkeys out there – a dual course. That means you now have a choice of which route you take – moderate or extreme. Along these routes you’ll encounter brand new back-to-back black crossings – don’t worry these are optional. Sound challenging enough for you? Take in the stunning surroundings of Queen Elizabeth Forest Park as you fly 46 metres above the ground on two of Britain’s longest zip wires. Located in the Trossachs National Park, it’s a mecca for Go Ape pilgrims, thrill seekers, adventure lovers and those that just want to get out and have some fun in Loch Lomond. With a camp site located in Queen Forest Park and Britain’s largest off-road cycle network why not spend the day exploring the forest by bike and stay the night to make a whole day out of it? Enjoy two to three hours in the trees taking on Zip Wires, Tarzan Swings, Rope Ladders and a variety of obstacles and crossings as you take on the high ropes course. 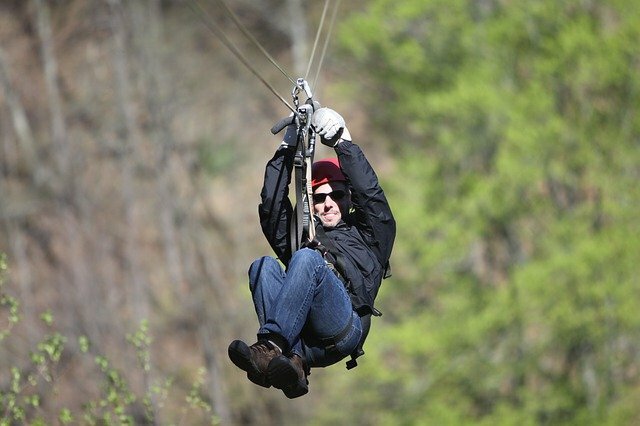 Boasting some of the longest Zip Wires in Britain, Aberfoyle is in a league of its own. At a dizzying 120ft high and 426 metres long the grand finale at our first Scottish adventure is an exhilarating and memorable experience. Scotlands answer to something to do near you!